There are a few directors that are considered great that I cannot get on board with. Michelangelo Antonioni is one of them. When I was younger, I watched Blow-Up and hated it so completely that it took me years before I was able to watch another one of his movies. Blow-Up was probably not the best introduction I could have to a director known for his ennui. Blow-Up is him at his most ennuiness (at least that is what experts say). Once I had forgiven Antonioni for Blow-Up (it was a long and arduous journey, but someone had to do it), I watched L’Avventura and had the exact same reaction. Although it was beautifully shot and Monica Vitti was great to behold, I just couldn’t get past the non-explanation of these yuppie’s ennui. 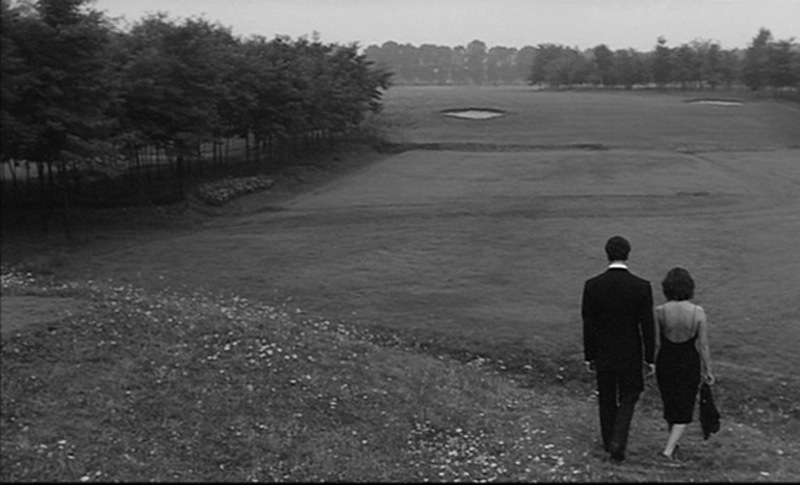 Antonioni puts the audience at an emotional distance that is hard for me to overcome. This should then be no surprise that after a couple more years of recovery from L’Avventura, I had the same reaction to his next movie in his isolation trilogy, La Notte. The long haul of a marriage, the complacency you have when you establish a routine with a companion and the need to break from that routine can all be riveting subject material for a film. It is just too bad that Antonioni was able to take interesting themes, great actors, and gorgeous visuals and turn it into a big stinking turd. I reviled this movie. I hated it so much that I think I am done trying to convince myself that Antonioni is for me. He just isn’t, I will leave him to the smarter film buffs to care for his legacy and talk about his impact on film. I am not capable of it.